"The Grand Tour" isn't the only outfit that can get these two supercars together for a race. For as long as the Ferrari LaFerrari and Porsche 918 Spyder have been around—going on a few years now—drag races between the two haven't exactly been common occurrences. Part of that is due to the fact that both of these cars had extremely limited production runs. 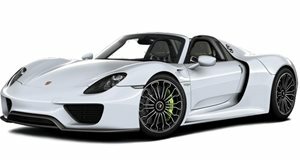 Only 500 LaFerraris were made and Porsche built only 918 918 Spyders. Getting these two hybrid hypercars at the same track takes either a bit of juice or luck. We’re going to say that the latter is what made this video possible. San Antonio, Texas, of all places is where this LaFerrari and 918 Spyder met to do battle over a quarter mile. The video quality isn’t the best which is a bit annoying. However, it does make it feel a bit more real. Imagine how awesome it would be to show up at your local drag strip for a night of racing and see these two beasts lining up for a run. Pretty cool, eh? The poor camera work makes it impossible to see the times of each car, but the video description says the 918 Spyder won with a run of 10.4 seconds. 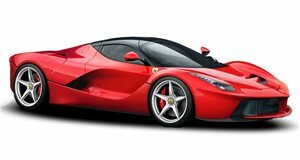 The LaFerrari had the higher trap speed, though, at somewhere a bit less than 150 mph. The Porsche's trap speed was 140 mph. Now we have two instances where the 918 Spyder has come out on top over the LaFerrari. When “The Grand Tour” lapped the hypercar holy trinity the Ferrari came in second place, just .2 seconds off the Porsche’s pace. Whether in Portugal or Texas the 918 Spyder gets the job done.